New Delhi: Congress President Rahul Gandhi on Tuesday tried to corner the Bharatiya Janata Party (BJP) over its manifesto and said it was created in a ‘closed room’ and reflected the ‘voice’ of an ‘isolated man’. Gandhi described the manifesto of his Congress as the ‘voice of over a million Indian people’. 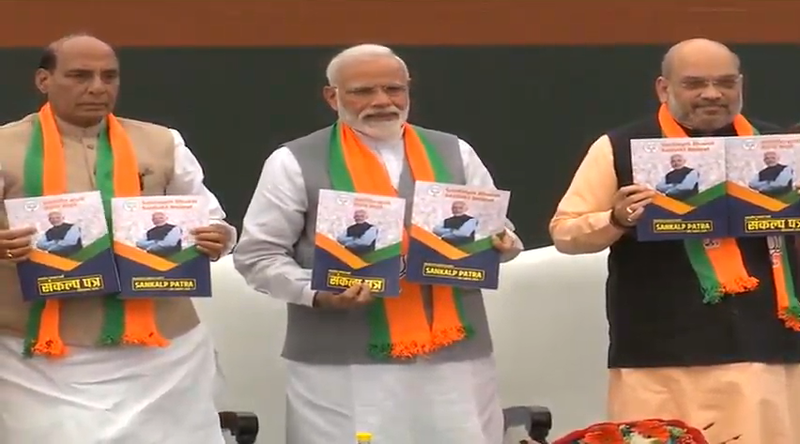 The BJP manifesto was released on Monday. Gandhi attacked the BJP just days before the nation votes in the first phase of the polling on Apr 11. Voting for the last phase of the seven-phased Lok Sabha polls will take place on May 19.